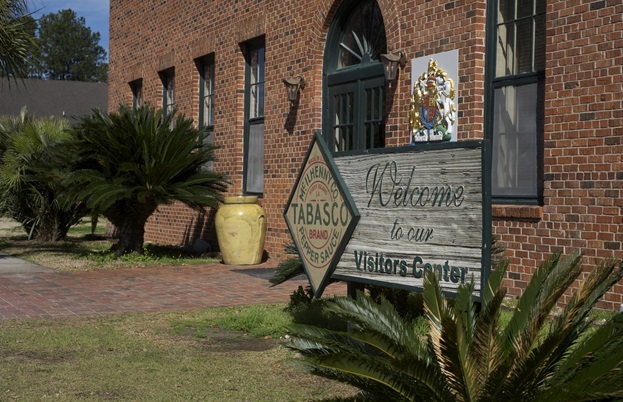 To consist of three simple ingredients – aged red peppers, vinegar and salt – and to be produced on a small island in southern Louisiana, Tabasco packs a piquant punch. Chris Osburn visits the factory to find out more. Like so many aficionados of flavour, I’m a fan of Tabasco. Indeed, hardly a day passes when I’m without a bottle of it stored in my kitchen cupboards or (more likely) opened and sitting in my fridge. So while visiting Louisiana for a blend of work and play, I was keen to head down to Avery Island for a tour. Southern Louisiana is swampy flatland where nothing more than the odd church steeple might stick out on the horizon. 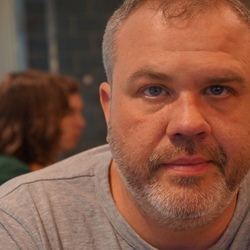 However, Avery – roughly two hours from New Orleans – is one of five salt dome islands on the state’s Gulf Coast. The island rises to a mere 163 feet above sea level. Nonetheless, to see the small hill come into view elicited a double take as I drove to the factory from the mainland. That very salt forming the island is what brought Edmund McIlhenny there to make his sauce commercially in 1868. Much of the salt used in Tabasco Sauce continues to be sourced from the island’s mine – one of the biggest in North America. I was playing tourist on my visit, so there was no behind the scenes snooping or interviewing anybody directly involved with production. 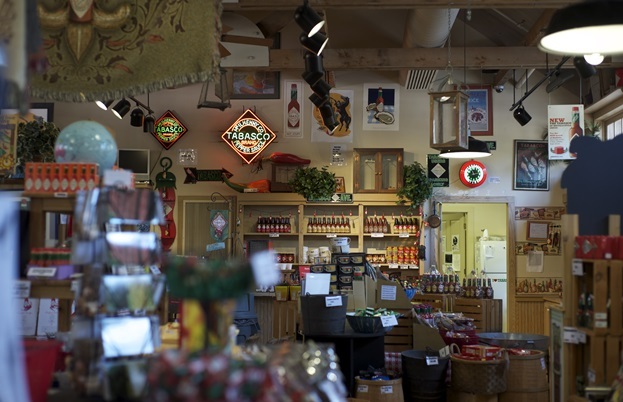 Still, the chance to sightsee while joining the public tour of the pepper sauce factory turned out to be a fun opportunity to learn about the company's history and to get a glimpse of how the sauce is actually made. For example, did you know that the McIlhenny Company uses old Jack Daniel's whiskey barrels for aging the ‘pepper mash’ that becomes hot sauce? Yeah, me neither (before the tour, that is). 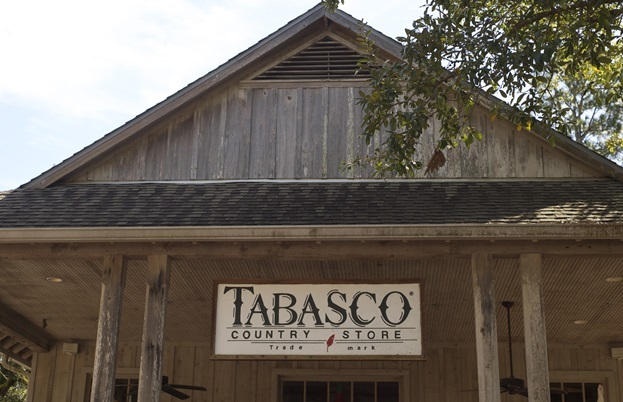 During the tour, guests are given dinky sample bottles of the complete range of Tabasco brand sauces – Original Red, Green Jalapeño, Chipotle, Buffalo Style, Habanero, Garlic Pepper, and Sweet & Spicy. 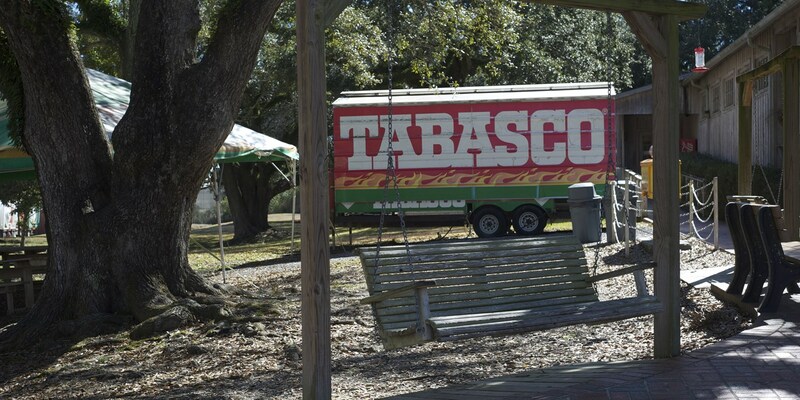 It was a nice touch, but I just thought it was neat to see the humble facilities where something as globally beloved as Tabasco Sauce is made. The grounds near the factory have a rustic charm and the air smelled peppery sweet. Right outside the factory exit there’s a well-kept little path to the Tabasco Country Store. More a gift shop chockablock with branded swag and souvenirs than an actual country store, it was a good place for me to pick up some snacks for the road (a bag of Hot & Spicy Cheez-its) and something for back home (a jar of Spicy Pepper Jelly). At the back of the shop is a lunch counter with lots of freebies to sample – the jalapeño ice cream was particularly tasty. Beyond the factory and shop are the pepper fields. Originally all chilli peppers used in Tabasco Sauce were grown on the island, but at only two miles at its widest point, supply of peppers from Avery couldn’t keep up with growing demand. Today the peppers produced on the island are used as seed stock, shipped over and grown in Central and South America, before being handpicked and barreled with salt and vinegar and sent back to the island as mash which is then aged for three years. But it’s not just the sauce on the island that has a bite. The factory, fields and mine share the island with Jungle Gardens, a 170-acre garden bird sanctuary with semitropical foliage, abundant wildlife, a centuries-old Buddha statue, lots and lots of snowy egrets … and plenty of alligators. To drive and walk around the forested mound of Avery Island felt like stumbling upon an out-of-place anomaly, as if Mother Nature had done a cut-and-paste with a patch of rolling countryside from the Appalachian mountain range hundreds of miles to north and set it in middle of a vast Louisiana bayou. 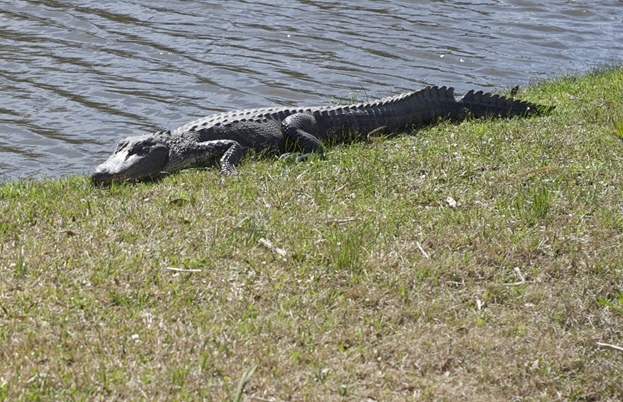 My tour gave me the chance to check out the wildlife as well as the unique topography of the island, and I saw a number of gators out sunning themselves. They seemed pretty nonplussed about my presence. That said, I was certain not to get too close!